Back in May, I shared an amazing warehouse photo shoot that was submitted to me by a very talented photographer named Kelsey Goodwin. I was smitten by her work, so when she contacted me recently about featuring another shoot, I was eager to check it out. And she didn't disappoint. 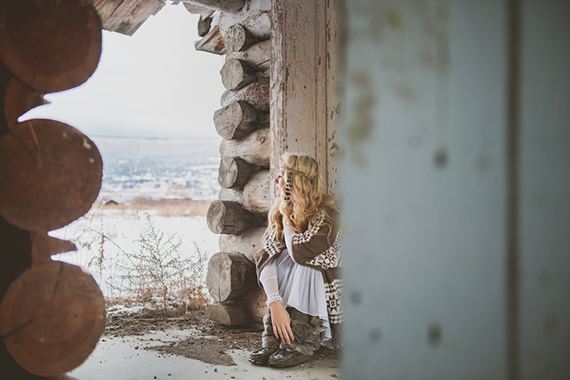 The location is absolutely stunning, the wardrobe is gorgeous, and Kelsey's ability to capture winter's cold, eerie calm through her photography is really incredible. I'm thrilled to be able to share these beautiful images with you guys today. 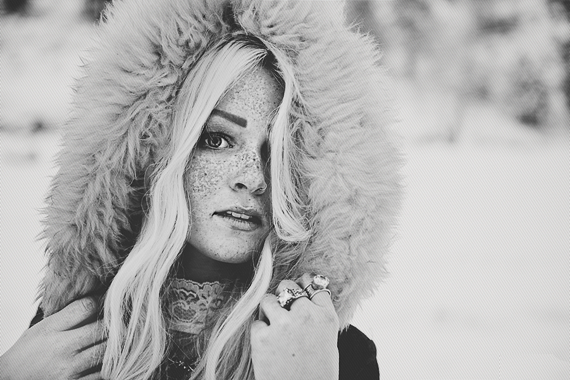 I asked Kelsey what inspired her to do this particular shoot, and she told me the inspiration was her friend (and the shoot's model) Ashleigh's freckles. How awesome is that? 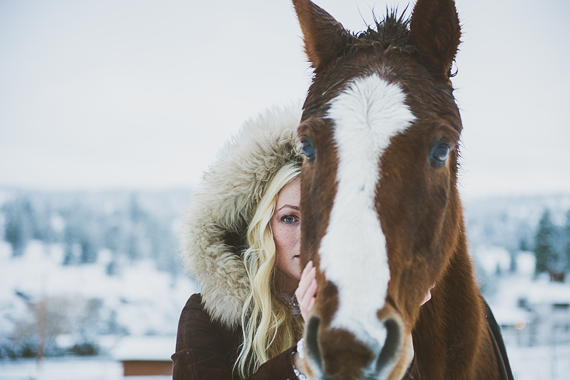 "I've always wanted to photograph them but didn't seem to find the time/location until we were both home in Penticton for Christmas. 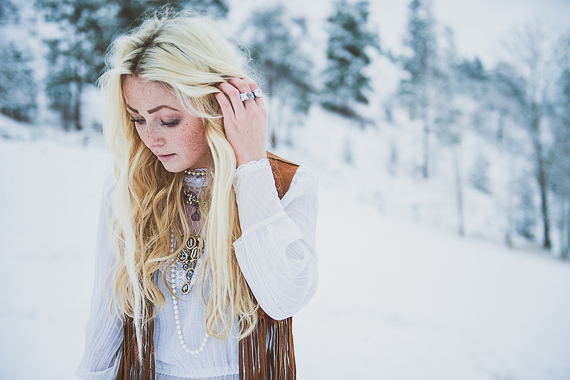 The snow and her new blonde hair (she is a natural red head) were exactly the setting I was looking for. 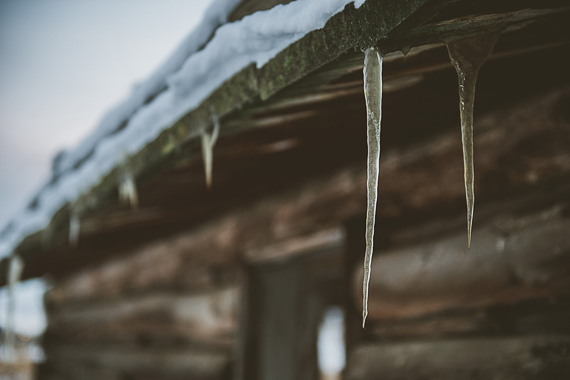 Plus I knew of a great abandoned log cabin that I photographed in the summer last year; it was even cooler with icicles!" 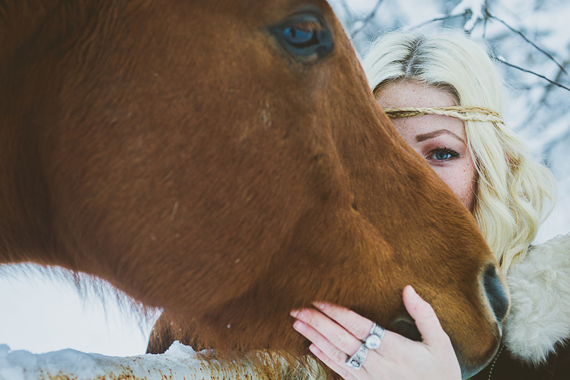 The beautiful horse featured in the shoot - named Zeus - belongs to Ashleigh. And the majority of the clothing and jewelry she decided to use came from her parent's attic. "They belonged to my grandmother, so it was all true vintage. My mom is a hoarder, but luckily of awesome things!" 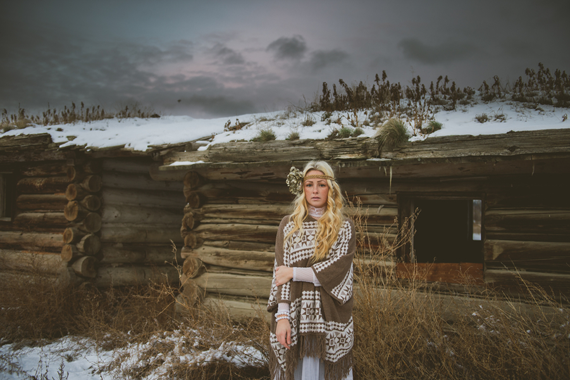 The use of light and color - earthy, muted browns and chilly, wintery blues - is so powerful that you can't help but feel the cold air on your skin as you look at the photographs. The images are ethereal and mysterious, with an undeniably bohemian energy. 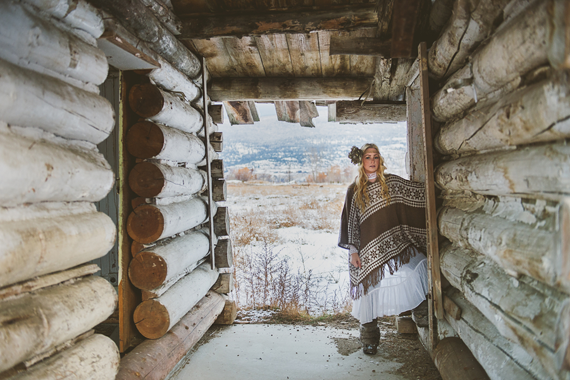 And the details are breathtaking - from the close-ups of Ashleigh's freckles to the icicles dripping from the abandoned cabin. 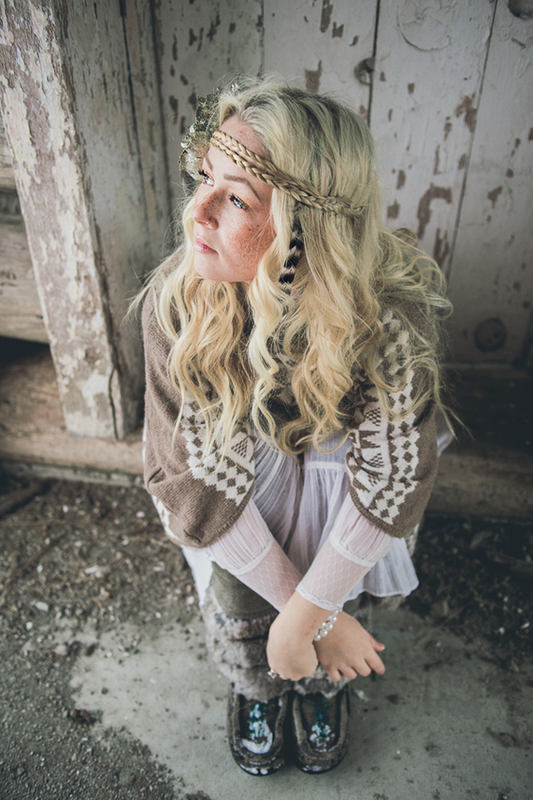 You can view more of Kelsey's amazing work via her website, blog, and Twitter. She also has a new website launching this Thursday, January 31st, so be sure to check back later this week to see the new design! I love her freckles! I get a few in the summer, but nothing like those. So beautiful. Amazing! She really has an eye for photography! Love all the little details and wintery tones in these! This is gorgeous. I love that filmy white dress, so ethereal. Oh my, these are STUNNING!! She captures winter, spot on. Such stying. I've always wanted freckles, this cemented that desire. Those are great pictures. Going to go check out her blog. 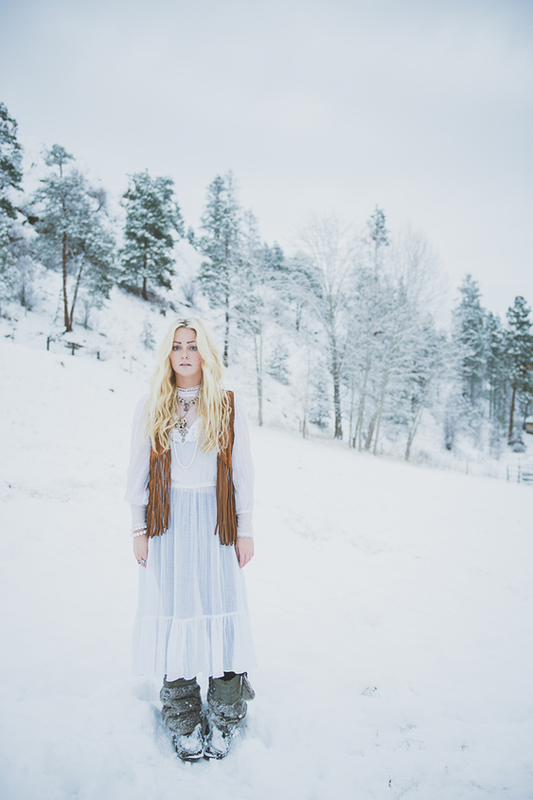 I really like how she captures the snow and the clothes are great. Incredible! Beautiful shots. I really like the shots with the cabin and horse. 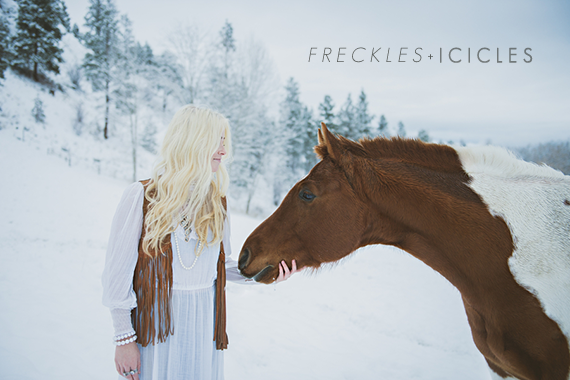 I think it's so awesome that freckles inspired the shoot. It's great! just beautiful! Gorgeous on so many levels. Love them. Incredible photographs - thankyou for sharing! those freckles! absolutely smitten by them. incredible shoot!